I’ll admit it: I love saving money. I love finding deals. It’s all about the thrill — the thrill of the deal. I gotta buy my meal. I gotta spin the wheel. I’m gonna keep on rapping, ’til I get the kill. I apologize for that. I can’t believe that just happened. Please just keep reading. In this article, we are going to be talking about how to save 5-10% on golf equipment purchases. To be clear: this it NOT the same advice that I typically give (like how you should buy used, wait, and shop around for golf clubs). This advice actually goes for ALL purchases, not just golf club and golf equipment purchases. It’s a simple 2 step process. eBates has saved me TONS of money over the years. It’s super simple. You simply go to ebates.com and sign up. 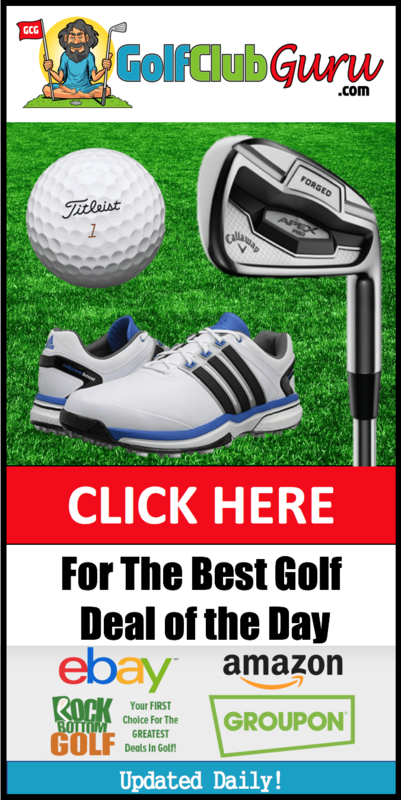 You click which store you are going to (Amazon, eBay, Callaway. Footjoy, Golf Galaxy, plus lots more), and then you buy whatever you wanted to buy. eBates will get let’s say 10% of the proceeds, and in return they will pass a percentage over to you for free! You can often times get 2-5% off all purchases. It’s super convenient. You can download the desktop extension, and it’ll let you go through eBates anytime you are on a webstore to save more money. Example: You download eBates and you spend $200 on a new driver online. You pay $200, but you get let’s say 5% back, so you’d get $10 back. In reality, then, you really only spent $190 on the driver. Plus, you can actually get a free $10 Walmart gift card just for signing up with eBates today. Step 2: Get a cash back credit card. Disclaimer: if you are not financially responsible, you should NOT do this. You should go to step 2 immediately and give up the extra 1-3% off your purchases. Stop reading right now….. stop it! You haven’t stopped yet. Leave right now. I command you! What? We are talking about credit cards now? 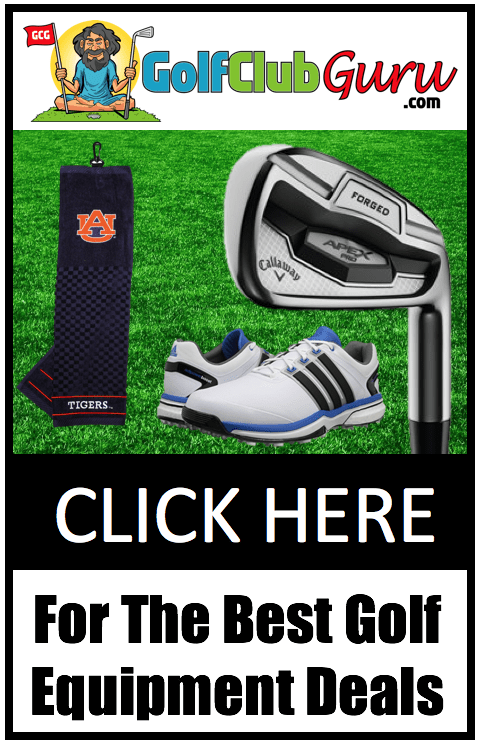 This is a golf website? What are you doing? … I know, but hear me out. Getting a cash back credit card can instantly take off 1-3% of whatever you are buying. Example: You buy a $200 driver. If it goes through your credit card, you get a $200 balance on your credit card, which you should IMMEDIATELY pay off (or before it’s due, at least). But then, your credit card gives you give you a percentage back — let’s say it is a 2% cash back card. So, you really only spent $196 on the diver. Bam, instant 2% savings. You might not think that’s a lot. But now imagine if you put all of your expenses on that credit card. If you spend $10,000 throughout the year (on rent, groceries, insurance, car payments, etc), you would get back $200! That’s enough for a hell of a driver each year. But guess what, some credit cards like the Discover It credit card (a great “first” credit card) doubles your cash back in the first year. So, you’d get back $400 in the first year, enough for a great set of budget irons. I started off with the Discover It credit card that I mentioned earlier. I earned about $500 in my first year in cash back. I’ve also referred a few of my close friends to the card, and they have been very pleased. Plus, you can get 5% cash back on different things each quarter. Therefore, in your first year, you are actually getting 10% cash back for those purchases. Again: don’t do this step if you are not financially responsible. This is the last warning. If you run up a balance and don’t pay it off, you’ll have to pay LOTS of money in interest. The rates are insanely high. 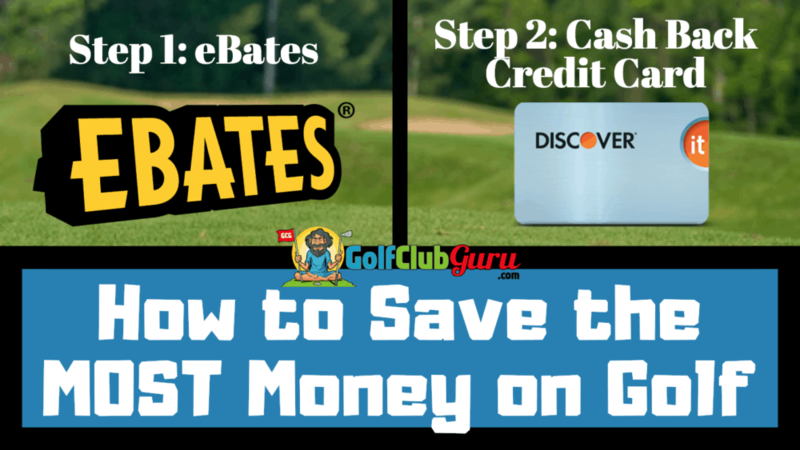 It’s as simple as that: use eBates and get a cash back credit card. Let me know what other tips you have to save money on golf equipment in the commends below!